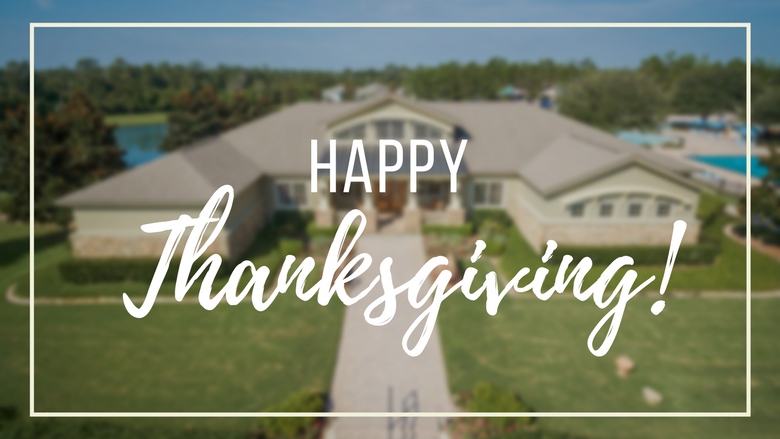 Thanksgiving is a time to get together with family and friends to share an abundant amount of food together. For some, family may not live close enough to share the holiday with, and who wants to cook a turkey dinner for two (or four)? It takes a lot of time and energy to prepare the traditional feast leaving your entire kitchen begging for a deep clean. 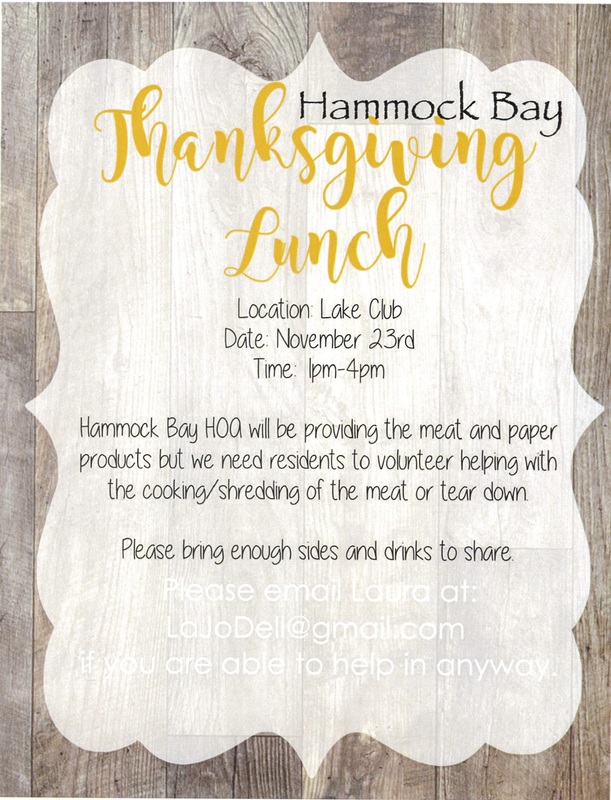 If you are unsure of your Thanksgiving Day plans but still want to enjoy a full blown Thanksgiving dinner with friends and neighbors, Hammock Bay welcomes you to their Thanksgiving celebration. Turkey will be provided, so all you need to worry about is preparing your favorite salad, side or dessert! Dinner will be from 1 to 4 pm in the beautiful Lake Club. Please see the flyer below for additional details and contact information.